The problem, says church marketing authority Richard Reising, is that most churches should not be doing promotion. Instead, they should focus on the preparation that will make members eager to invite others. 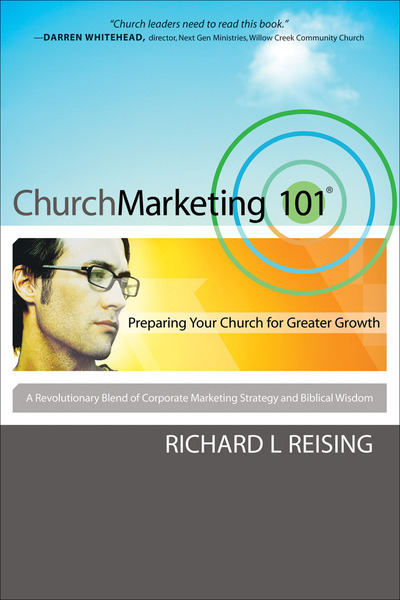 In ChurchMarketing 101®, he demystifies basic marketing principles for the church, evaluates them against biblical principles, and illustrates how simple changes can remove roadblocks that hinder members from reaching out. Reising's simple yet insightful approach will be invaluable to pastors and ministry leaders from churches of all denominations and styles.